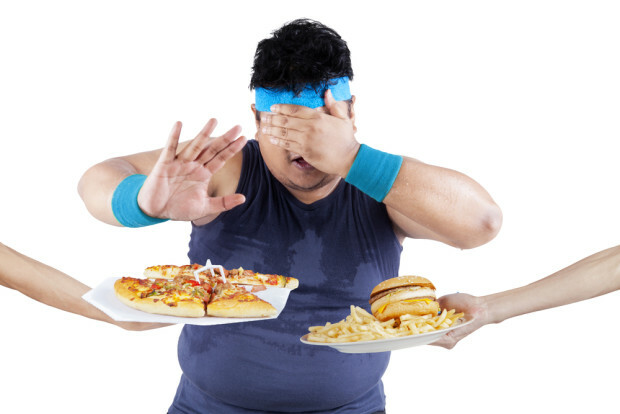 The first step to a ripped physique is to gain control of your appetite. These products can help. Surviving the holidays unscathed is hard enough as it is, but adding in the potential of weight gain from all the family meals you’re expected to attend, and it can seem almost impossible. Well, here you are. But now is the time to get back on track. One of the things that will help you return to the rigor of your diet and training is an appetite suppressant. And typically they work exactly how they sound: They keep raging hunger from derailing fat-loss efforts. Now that’s just a simple explanation. Many appetite suppressants work by activating things such as cAMP and a-amylase inhibitor, which are molecules that reduce starch metabolism or delay gastric emptying. Either way, you end up eating less and hopefully dropping those unwanted holiday pounds. Now there are many, many products out there that claim to have appetite-suppressing effects. 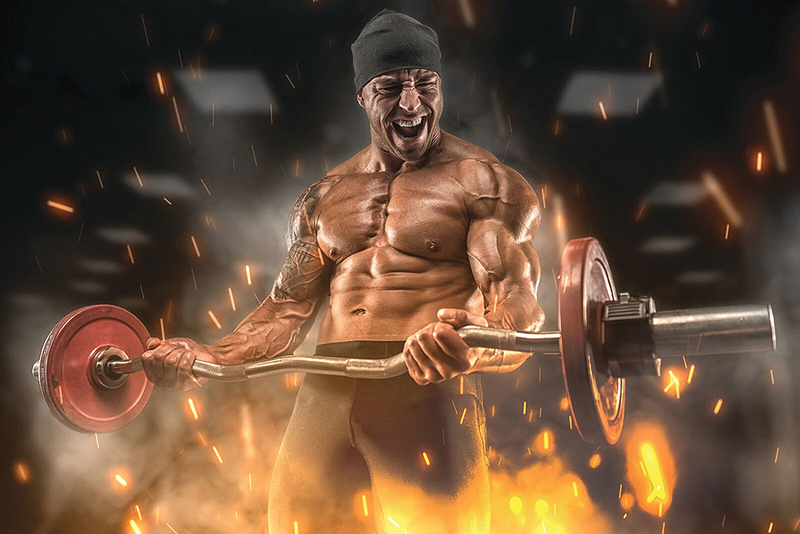 After a thorough search through a lot of literature, we found the ingredients to look for that have the most promising results when it comes to suppressing appetite and helping you get shredded. Caffeine: Our old friend caffeine is something we consistently mention. It has many different benefits, most notably its ability to elevate the metabolism and increase energy expenditure. But one of the few things we tend to overlook is caffeine’s ability to curb appetite. Ever noticed it? Well, it appears that caffeine stimulates the central nervous system and increase a molecule known as cyclic AMP. This will then start sending satiety signals from the liver due to increased lipolysis (fat breakdown), meaning you end up eating a bit less than normal. A 2009 study indicated that after just 50 milligrams of caffeine, energy intake was reduced by about three percent, or the equivalent of about 40 calories. This may seem nominal, however, the body is extremely sensitive to changes in energy intake. Eating just 10 calories more than your energy expenditure each day results in a weight gain of roughly 3.5 pounds each year. This means that the appetite-suppression effects of caffeine can potentially help you lose weight and prevent weight gain, even as your metabolism begins to slow with weight loss efforts. fimbriata is an edible cactus plant that is native to India and thought to suppress appetite. It was previously known as a famine food, as Indian tribal populations would eat it during times of famine. However, it has since become popular because of its incorporation into weight loss supplements. Researchers are unsure of how it works, but it is thought to reduce ghrelin synthesis (the “hunger hormone”), meaning you won’t feel as hungry between meals, thus reducing your appetite. Most of the research has been done in animals, but a few human studies gave some positive results. A 2007 study found that supplementing with one gram of C. fimbriata per day for two months resulted in a 20 percent reduction in hunger levels and an eight percent decline in energy intake in addition to a reduction in waist circumference. We need more human studies to support these results, but so far we know it is helpful in cinching in those waistlines. gabonensis is an African mango that is native to central and west Africa. Its seeds contain a high amount of saturated fatty acids and is rich in polyphenols, which are beneficial phytochemicals that have antioxidant properties. It has been shown to upregulate adiponectin expression, which is a protein that we know helps regulate glucose levels and fatty acid breakdown. When blood sugar levels drop we get hungry, so regulating blood sugar levels appears to help regulate our appetite and reduce caloric intake. While we still need more research that involves more diverse populations, supplementation with I. gabonensis does appear to suppress appetite. A 2013 study revealed that 200 to 3,150 milligrams per day for four to 10 weeks resulted in significant reductions in is bodyweight and waist circumference. It’s likely that the weight loss was a result of increased adiponectin expression, however, we still need more research to support these results. Glucomannan is a polysaccharide that is known for being a viscous dietary fiber. The most common form is known as konjac and is popular in indigenous Asia. It can absorb up to 50 times its weight in water, which then passes through the digestive system relatively unchanged. This leads to promotion of satiety (fullness) through delayed gastric emptying as well as reduced ghrelin concentrations. Therefore, it has been studied for its ability to reduce appetite and lead to weight loss in several different populations. A 2009 study determined that immediately after consumption of one gram of glucomannan there was a significant reduction in ghrelin concentrations. Additionally, researchers found that this effect was consistent for four weeks when one gram of glucomannan was consumed before three meals each day. While weight loss and waist circumference were not measured in this study, the reduction in ghrelin concentrations appeared to have reduced the appetite of the patients involved. More research is needed in healthy overweight individuals, but this appears to have promising results. Glucans are also polysaccharides that are found in the endosperm of cereal grains. They are considered non-digestible, as they are soluble fibers that get highly fermented in the GI tract. Because they aren’t broken down, they pass through the GI tract relatively unchanged, similar to glucomannan. While the mechanism is unclear, they are thought to increase satiety by increasing total transit time and reducing the rate of glucose absorption. Most studies have found no significant difference in weight loss from supplementation with b-glucans; however, they still have been shown to have an effect of appetite. A 2011 systematic review determined that supplementation with b-glucans reduced reported appetite by at least 10 percent and reduced energy intake among participants by more than 95 calories each day. It appears that 2.2 grams per day is needed to reduce appetite, while more than five grams per day is needed to result in reduced energy intake. While these results are positive, they have been met with conflicting results from other studies. More research is needed with more stringent protocols so more studies can support the above results. cambogia was really popular several years ago. The supplement comes from the dried fruit rind from a tree that is native to southeast Asia. It was initially associated with several effects, including anti-inflammatory and anti-diabetic effects, however, one study was published that reported that supplementation with G. cambogia resulted in significant weight loss. This study has since been retracted in regards to its weight loss effects, but it appears that G. cambogia does have some appetite-suppressing effects, specifically when combined with Gymnema sylvestre. sylvestre is an herb native to southern and central India. It is known to be used to treat malaria, but also act as a digestive stimulant, promote weight loss, and control blood sugar levels. A 2004 study determined that a supplement that contains a combination of both G. cambogia and G. Sylvestre resulted in a significant reduction in appetite. Participants were given 14 grams of the supplement per day for eight weeks, which resulted in significant reductions in appetite and subsequent bodyweight. vulgaris are essentially red kidney beans and have been used in many weight loss supplements on the market. They are typically a major source of protein in Latin America but originated in America, particularly the Southern United States and northern part of South America. It’s believed that P. vulgaris suppresses starch metabolism and reduced gastric emptying, which leads to prolonged satiety and a decrease in food intake. Now you may be looking for a few ingredients that we left off the list. Don’t worry, they are likely here. They get an honorable mention because they could have some positive effects on suppressing appetite and aiding in weight loss, but the research is still out. In other words, it may work in rats, but not enough human studies have been done or possibly studies have come back with conflicting results. Green coffee extract (Camellia sinensis): Some studies have found that there’s no change in food intake while others have shown there was a significant reduction in food intake. Evodiamine: This plant extract demonstrated that there was a decrease in fat mass with effects similar to capsaicin, however, conflicting results have been seen regarding appetite, and very few human studies have replicated the results. Advantra (Citrus aurantium): Also known as bitter orange, it has been well documented to reduce appetite in rats, but little evidence has been reported to show that it works in humans. More human studies are needed. Coleus forskohlii: The evidence of using it as an appetite suppressant has been inconsistent and requires more research for us to make a determination. Yohimbine: While it appears that yohimbine has some great effects when it comes to weight loss and appetite suppression, there have been many reported side effects associated with it that leaves us cautious. If you do choose to use it, test your tolerance carefully and make sure you follow the manufacturer’s directions as closely as possible.